Luna Community College’s public relations office is dedicated to promoting Luna’s educational mission and increasing public awareness of the great people and programs at LCC. The office develops press releases, fliers, posters, newsletters (including the Luna Light), advertising and announcements for print media, radio, television and online publication. The office helps plan, organize, promote, coordinate and facilitate major campus events and activities. The office serves as a clearinghouse for internal and external advertising and promotion, reviewing, editing and approving fliers, posters and newsletters. As time allows, the office also provides assistance with creation and design of these materials. The office assists departments and individuals on campus to ensure proper branding and use of logos and other considerations. The office also facilitates the flow of information to media outlets and serves as a resource for members of the news media. 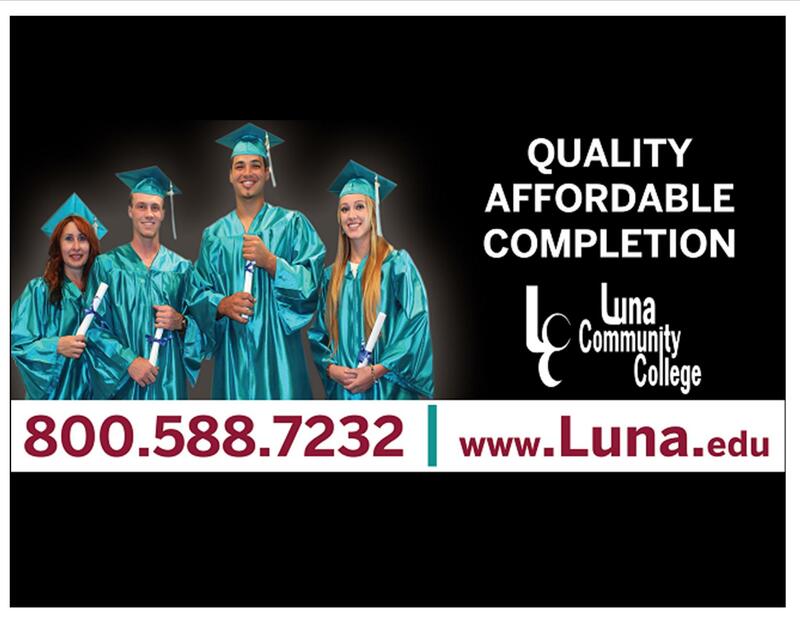 For years, Luna Community College has been wanting to advertise on billboards. Starting in mid-October, the college is getting its wish.